Are You a Young Musician or a Future Farmer? Farm Funk's two scholarship funds are designed to provide financial assistance to the next generation of farmers, brewers, and musicians in NW Washington. These scholarships provide money for formal education, music/farm related travel, equipment, informal education, or just about anything you need as long as it enriches the development of a young artist, farmer, or brewer. 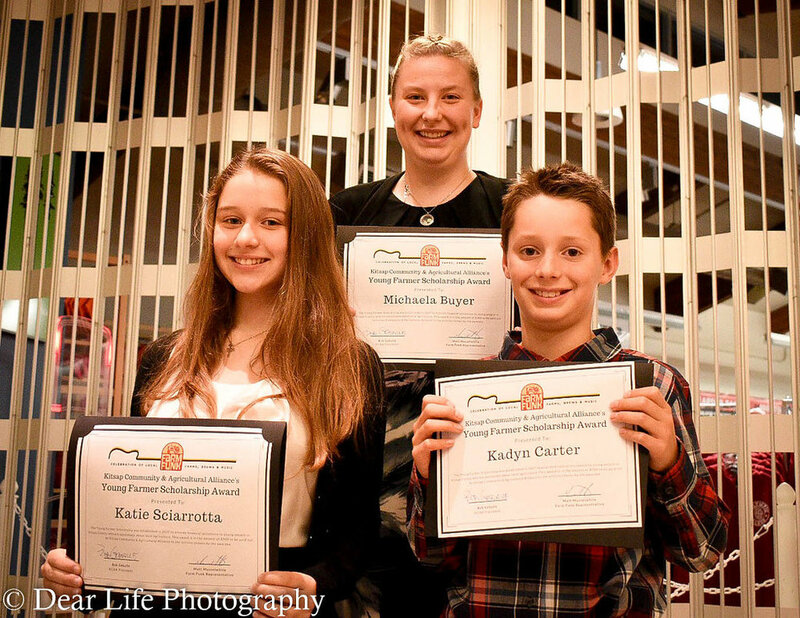 The scholarship funds are managed by the great people at the Kitsap Community and Agricultural Alliance (KCAA). Meet Farm Funk's Past Scholarship Winners! Aaron Moren purchasing his first steer with Farm Funk scholarship award! Congratulations to (left to right) Sierra Richmond, Colin Weaver, and Gia Acosta! Pictured here with Farm Funk sponsor Drew Quitigua of Rottweiler Motorcycle Company. Congratulations to (left to right) Katie Sciarrotta, Michaela Buyer, and Kadyn Carter! Pictured here being recognized at the 2017 Kitsap Grown Harvest Dinner.